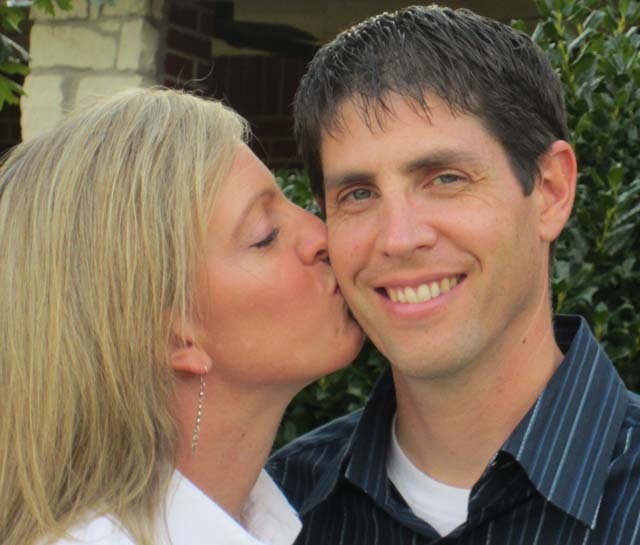 Ten years and three-and-a-half kids into our marriage, my husband Jeff told me a story. Over the years, I’d come to suspect that junior high hadn’t been the highlight of his social career. This story removed all doubt. From a young age, Jeff fancied himself a famous magician. He reasoned that such a goal was entirely within reach, as long as he tried hard enough. Since his family budget couldn’t spring for magic lessons or any store-bought props, Jeff spent hours in the library and his basement perfecting his craft. Landing audiences can be tough, especially when one’s fame is still in its infancy. Jeff’s family was supportive and all, but even the most loyal fans can tire of the same three tricks after a few years. So in eighth grade, Jeff was absolutely thrilled at the prospect of performing in his junior high school’s talent show. He fretted about the tryouts, but needn’t have. The sleight of hand card trick he had practiced approximately 5,000 times wowed the judges, and they gave Jeff his long-awaited break. What the judges didn’t quite catch — probably because Jeff didn’t tell them — was that sleight of hand tricks weren’t exactly what he envisioned for the big stage. So, in a fit of logic and reason, Jeff completely switched gears. He engineered a montage of magic, if you will, cleverly combining the styles of David Copperfield and Harry Houdini. Each illusion was to be perfectly choreographed and timed to a slightly edgy '80s dance tune. ... in a fit of logic and reason, Jeff completely switched gears. He engineered a montage of magic, if you will, cleverly combining the styles of David Copperfield and Harry Houdini. Each illusion was to be perfectly choreographed and timed to a slightly edgy '80s dance tune. Shock and awe were Jeff’s ultimate goals. First, angles are everything. His rehearsal stage (in the cultural hall of his local church) allowed the audience a very limited, head-on view of the performance. In total juxtaposition, the stage at his junior high was designed to offer visual access to the stage from almost every angle. Angles proved problematic when Jeff dramatically retrieved items from his “empty” box. The box’s extra-thick back panel — in which the items were stored — was clearly visible to the majority of the audience. Second, lighting is everything. The glaring fluorescent lighting that illuminated the stage was in stark contrast to the eerily dim lights during rehearsals. Bright lighting proved problematic when Jeff’s assistants — his sister and a friend wearing black leotards and fish net stockings (I didn’t believe it either, but it’s true) — tried to remain undetected while moving one end of a black thread up and down. The thread’s other end was attached to a “floating” handkerchief over which Jeff was brandishing a magic wand. Third, timing is everything. Jeff had probably determined during rehearsals that his special effects expert, his brother, was no expert. But one can always hope for the best. Hoping proved problematic when more than one disappointingly tiny firestorm erupted at random intervals, completely out of sync with both the illusions and the music. Flash powder is nothing if not unpredictable. There’s more, but I believe an accurate picture has been painted. Well, he did it. Jeff’s ultimate goals had been realized. His audience was certainly shocked ... and awed ... and at times very, very confused. To their credit, most of his classmates gave him a wide, awkwardly silent berth the rest of the day. But even their collective embarrassment on his behalf couldn’t come close to equaling Jeff’s own. His mom was in the audience that day. At the dinner table that evening, she casually announced how she had managed to squeeze enough money out of their tight budget for Jeff to take magic lessons. Moms are awesome like that. My kids — particularly the teenagers — can barely handle this story, at least not without excessive cringing. Heck, I had a hard time handling it. I remember junior high too well. First, their dad’s magic skills have come in handy at dozens of birthday parties, including their own, and family gatherings. Second, his habit of working hard to achieve goals has proven valuable both in his career and at home, where he works all kinds of magic. Third, nerdy kids might be nerdy, but their futures could be very bright. As hard as it is to imagine, those very nerds may someday be running the companies my kids will want to work for. Additionally, I always emphasize that, with any luck, my kids might just end up marrying former nerds. From where I stand, that would be the best — the most magical outcome of all. Tim and are LOL over here and remembering the magic show Jeff did for us when we had dinner at your house. Bent forks anyone? ?